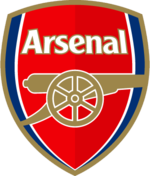 Arsenal Analysis: Nasri picks his woman and from the photos and video who can blame him? Nasri picks his woman and from the photos and video who can blame him? Samir Nasri has been playing some fantastic football lately and the reason may be the fact that he is back with his long standing girlfriend Tennis star Tatiana Golovina. The couple separated for some time after Nasri met Ayme Davison while on holiday in Cuba. But the problem was that the Doncaster College student in fashion was then dating Rugby player Phil McCawn who was pretty cheesed off about it. 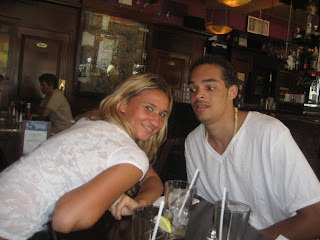 In the meantime Tatiana started seeing long time fiend French Basketball player Joakim Noah. In the end it all turned out well for Samir and Tatiana because they are an item again and living together in London. And apart from looking fantastic herself Tatiana has also been looking after her love by cooking some delicious French dishes for him. May be this explains the delicious football that Samir has been serving up. Tatiana Golovin is best known for winning the 2004 French Open mixed doubles event with her countryman Richard Gasquet and also for reaching the singles quarterfinal at the 2006 US Open. She was born in Moscow, but she moved to Paris with her parents and earned French citizenship. Shes ugly compared to other famous babes!!!!!! ugly might not be the right word. We all can't marry supermodels!!!!!!!! !